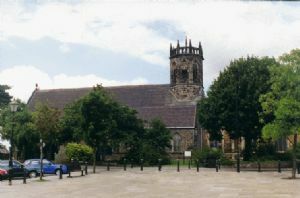 St. Mary’s Church, overlooking the Market Square, has been a focus for the town for centuries. The church has also been a focus for marking significant events in the lives of many generations, particularly their births, marriages, and deaths. Over the last twenty years, the building has fallen into a poor state, with the failure of the old heating system, and the poor materials and design of the Victorian nave. A bold plan for radical redevelopment of the building became prohibitively expensive. Meanwhile, the Church community have continued to reach out to the town in service and hospitality, throwing the doors open whenever possible, so that this strategic building can continue to be a major asset to Atherstone and beyond. We have now come to the point where we have a once in a generation opportunity to bring St Mary’s into a new chapter, making it once again a major focus for the town, with comfortable, attractive facilities, not just for ongoing Christian worship, but also as a quality centre for performing arts, concerts, and exhibition space, with a wide variety of events and activities bringing people in from far and wide throughout the week, and not just in the summer months. We believe that this new scheme is both realistic and achievable. Because of the size of the church building and the costs involved in repairing and re ordering it, we expect the works to go ahead in stages. What will the first stage involve? The first phase will involve urgent repair works, identified in a recent major architectural survey. The church needs a new roof, which will be replaced. Further repairs and improvements are required to the stone work, guttering, and windows. The medieval chancel and tower crossing would be left much as they are, with a new glazed screen separating the chancel at the arch, creating another separate worship/meeting area. All of the relevant planning authorities have been consulted and have invited us to apply for formal planning permission. The first stage roof & rainwater goods repairs has cost approximately £350,000. 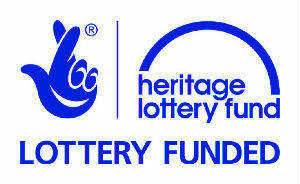 Major grant aid of £250,000 from the Hertitage Lottery Fund is being paid to help us cover these costs. What does the second stage involve? The second stage is already in the planning. Improvements will include new underfloor heating and enhanced toilet and cafe / coffee bar facilities. We believe these improvements will cost in excess of £1,000,000. We will be approaching local businesses and individuals locally, as well as other grant making bodies to achieve this. At this early stage, aspects of the plans are still open to adjustment, as further research is undertaken on the particular needs across the town which could be met with a redeveloped parish church building. We are also exploring the feasibility of a ground source heat pump system, and other green energy options, which will affect overall costings. Our architect has issued a practical completion certificate for the roof repairs and rain water goods (November 2017). The second stage improvements are entirely dependant on our ability to attract new funding. Every one of us can help, by giving towards the building fund. Cheques can be made payable to St Mary’s P.C.C., Atherstone. (Please mark it for the building fund). If you are a U.K. tax payer, then by gift aiding your donation, for every £10 pledged, the government will add a further £2.50 to the cause. If you would like to pledge a one off gift, or a regular amount, for a particular period, you can do that on-on line, by clicking on the blue "Support Us" button, using our on-line giving service give.net. If you want to give through your bank, via standing order or Direct debit, you can see our bank details here. There is also a convenient Standing Order form for you to use to inform your bank. If you want to make a donation, by cash or cheque, please make cheques payable to St. Mary's P.C.C. Atherstone (please mark your cheque for the BUILDING FUND). Alternatively you will find yellow envelopes in church, marked BUILDING FUND, into which you can put your donation. Remember! If you pay UK income tax, you can Gift Aid your donation, which will mean we get an extra 25p for £1 you donate. We would also like to invite you to get involved in the project. Our vision for the building is to see it develop as a partnership of all sections and individuals across the town, working together to put Atherstone on the map, to showcase what a rich heritage we have, and what a great town this is, and work to enhance our community life, especially for the more disadvantaged and isolated members.